Burgundy - Shown with optional height adjustable arms. 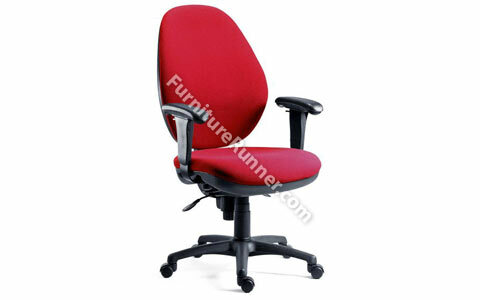 • Super large ergonomic operator chair • 24 hour use • Rated to BS549 Level S (24 stone) • Anti-shock autosyncron mechanism to seat and back • Seat slide function • Ratchet back height adjustment • Tension control • Gas lift seat height adjustment • Accepts optional armrests • Requires easy self assembly. Heavy Duty Seating is designed for 24 Hour use in extreme environments. These chairs are ideal for use in Call Centres, Control Rooms, and other Multi-shift Workplaces It will accept weights of up to 150kg.